brought to you daily. This is a timely reporting on relevant issues and interpretation of economic data for all to understand. News is not static; it has a life of its own and takes on different forms and directions. 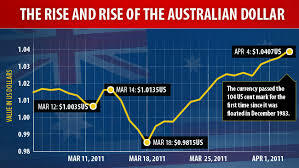 The Australian Finance News strives to deliver pertinent information on desk as it happens.Economic planners, stock brokers and trust managers know that the news is important for discerning economic trends and market directions. The accuracy of the news is dependent on the source. For financial news, the source of the news is just as important. Credibility of the news source lends itself to the importance of the news article. Financial and economic news is not about reporting what happened, but more importantly, it is reporting what could happen next. Taking out the guesswork is dependent on the context of the news, the source as well as understanding preceding events. Reporting the news as it happen and when it happens are just as important for financial news as it is for regular news. Australian Finance News strives to deliver the freshest news in a timely manner to give the users time before the market reacts.